Thank goodness. The shorter, cooler days have signalled the end to a long, hot, dry summer. The occasional shower of rain has dampened the earth and the trees from the northern hemisphere, planted in our gardens and along our streets, are putting on their annual autumn show. 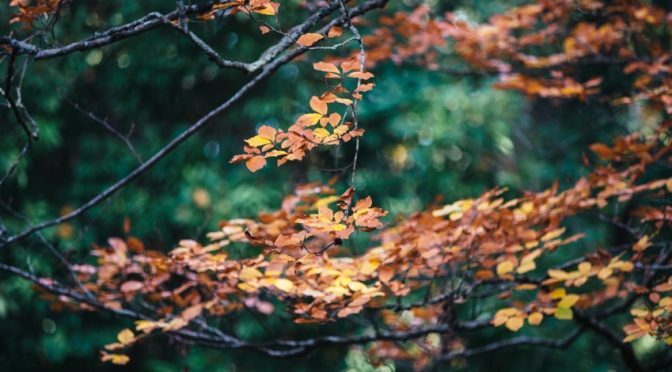 Around the state there are vast plantings of deciduous trees that change their verdant summer foliage into cloaks of orange, amber maroon and fire engine red. One of the most well-known places to see this autumn show is Bright in northeast Victoria. Which is why we’re offering a few other suggestions in case you’re thinking of heading out of town to rug up and roll around in the dunes of leaves piled up in a quiet park, or have a full-on leaf fight in the side street of a country town. 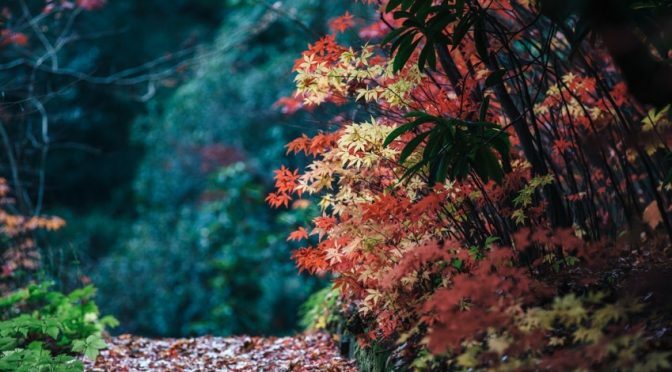 All that chilly autumn air builds an appetite, so we’ve included a few of our favourite eating spots. 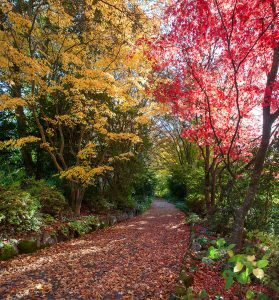 Under the towering trunks of the native mountain ash trees, winding around prehistoric tree ferns, the roads in the Dandenong Ranges are lined with thousands of oak, beech, birch, liquidambar and chestnut trees. (Later in the season those chestnuts will be sold at roadside stalls around the Dandenongs.) 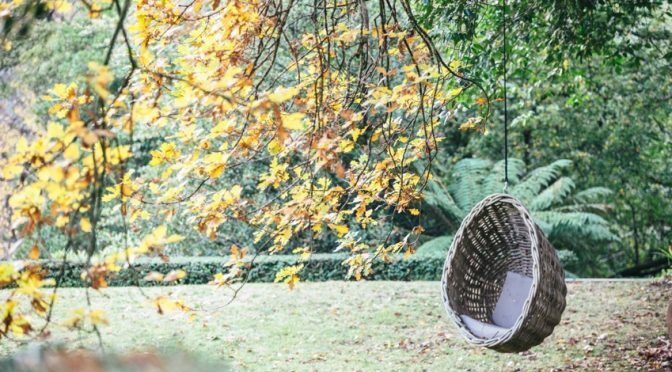 Parks Victoria manages seven magnificent gardens in the hills, including the Dandenong Ranges Botanic Garden, Alfred Nicholas Gardens, George Tindale Memorial Garden and the serene RJ Hamer Arboretum at Olinda. This is a collection of over 200 different types of trees that were planted in 1976 in rich fertile soil. At this time of the year they are simply superb. For some great bread and baked goods with excellent coffee, consider the European style Prosperina at 361 Mt Dandenong Tourist Road, Sassafras. During World War One 154 men and women from Macedon and Mount Macedon served their country. An oak tree was planted for each of them to form Honour Avenue. At this time of the year they create a long, closed arch of red and orange. This is an exceptionally popular place for photography, and parking is available in Tony Clarke Reserve. Many visitors also drop by Tieve Tara. 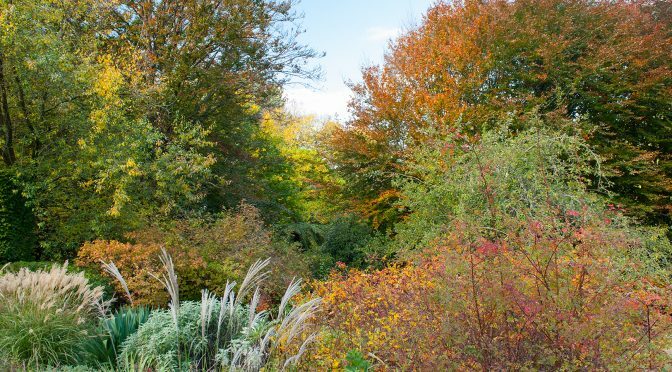 These are 7.5 ha of private gardens open to the public during autumn, with views across the lake to take in the rusty orange hue of the birches before they expose their silver-grey bark. 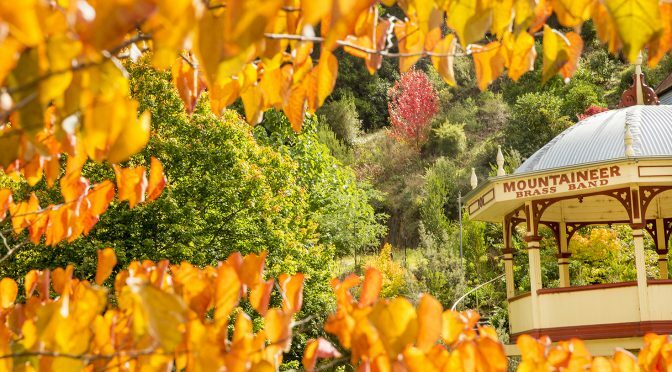 While the European trees are beautiful, save some time to walk through the native bush on the summit of Mount Macedon. 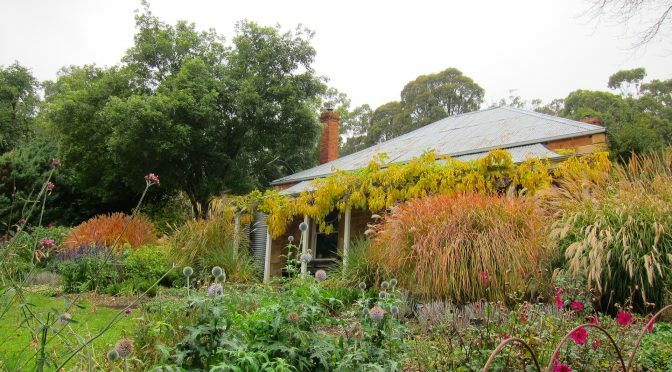 After a long walk in the country, try fireside oysters, pork belly or pizza at Olive Jones, 40 Victoria St, Macedon. The streets of the grand gold-mining city of Ballarat were planted with exotic trees, some now over a hundred years old. A walk through the town and even the suburbs reveals street after street lined with oaks and plane trees, turning gold to fiery red. One of the most glorious sights is Ballarat’s old trams trundling around Lake Wendouree, kicking up clouds of oak leaves as they go. 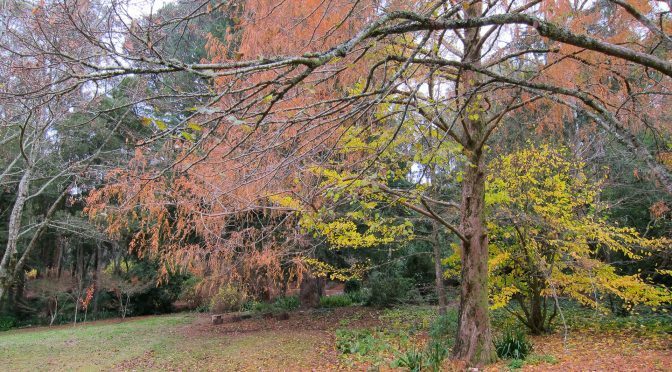 Just out of town, by the slopes of dormant volcano Mount Buninyong, is the Buninyong Botanic Gardens, where are planted hundreds of deciduous trees that have created thick carpets of coloured leaves lying on the ground. On the other side of the Western Highway, just off the Ballarat-Daylesford Road, is Kirks Reservoir Park and Gong Gong Reservoir Park, two hidden gems. Kirks has great BBQ and picnic facilities with expansive lawns planted with oaks and elms, while ‘the Gong’ offers a great water trail walk. Afterwards drive back into town for a charcuterie platter, a glass of local red and a seat by the fire at Mitchell Harris Wine Bar, 38 Doveton St North, Ballarat. Founded as a gold mining town in 1862 and reaching a population of around 4000 shortly afterwards, today this historic town has a population of just 20. 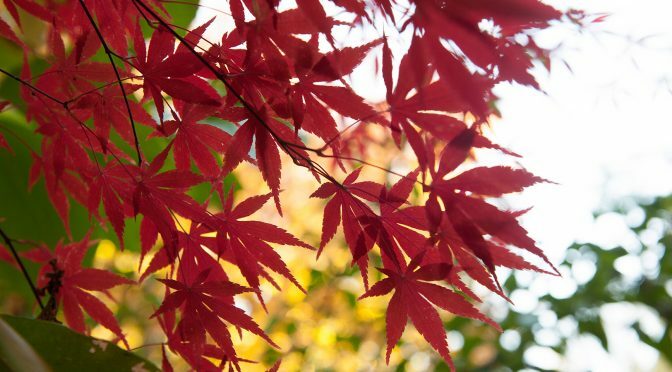 Now is the perfect time to come and enjoy the autumn glory, wandering this town nestled in a mountain valley. Start at the former fire station, a weatherboard building with an old fire engine inside, straddling Stringers Creek. Further up Main Road is the Mountaineer Brass Band Rotunda. Built in 1896 the domed ceiling is so designed that if you are standing directly under it, the sound of the creek below seems to come from every direction. Walk up to the Tramline Walkway, which follows the contours of the hills above Stringers Creek. From here you can see the green native bush punctuated with the extreme colour of the exotic trees, some over a century old. When done, go to the Wally Pub for a counter meal and an ice-cold pot of beer. 2 Walhalla Rd, Walhalla. 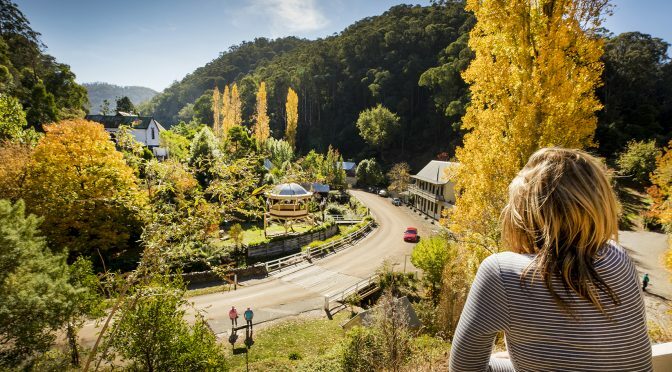 Surrounded by native forest, Blackwood is a historic gold-mining village that dates back to the 1850s. 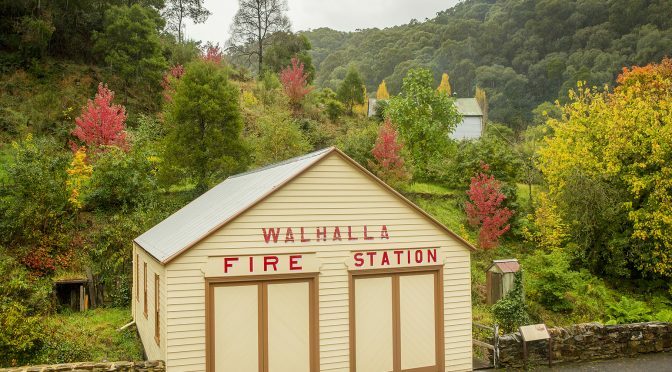 This collection of weatherboard shops and houses is set on the steep slopes that lead down to the Lerderderg River, the streets planted with poplars, cedars, oaks and beeches that are now a riot of colour. Have a coffee at the Blackwood Merchant in Martin Street or wander down Hugget Lane to the alkaline mineral springs. Down Simmons Reef Road is Garden of St Erth. It was planted out in the 1970s by the former headmaster of Geelong Grammar around an 1860s sandstone general store. Here is a very beautiful garden with deciduous trees, food jungle, garden cafe and quite spectacular canvas bell tent, for glamping under the tree by a small lake.